For many years, the BC Paraplegic Foundation has distributed scholarship and bursary awards to students with spinal cord injuries attending post-secondary school. SCI BC was once again pleased to assist the BC Paraplegic Foundation (BCPF) with the distribution of these awards, in addition to the Gragopean Trust Awards in partnership with the Vancouver Foundation. The James H.R. Roche Memorial Scholarship is held at the Vancouver Foundation, and administered by the BCPF. 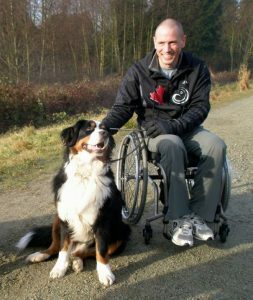 Jim Roche was a board member and Chairperson of Spinal Cord Injury BC, who sadly passed away from complications following a spinal cord injury at Whistler. This fund was established by his family and his partners at Thorsteinnsons Law, and supports one to two individuals annually with funds toward tuition and textbooks. The value of individual bursaries may vary from year to year according to the availability of funds. This year’s recipient of $7,500 was given to Thomas Venos. Thomas graduated high school a year ago, and and is a highly ranked wheelchair tennis player. 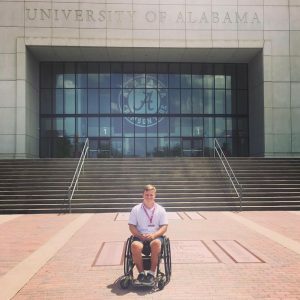 He was recruited by the University of Alabama for their varsity wheelchair tennis team and will be pursuing a degree in Kinesiology. The Scott Stanley Scholarship was established a number of years ago by Scott Stanley, a lawyer with Murphy Battista. This generous award a aims to assist individuals with SCI in pursuing their post-secondary educational goals. This year, the BC Paraplegic Foundation was pleased to select Riley Martin for this $1000 award. Riley completed both a BA and Masters in Business Administration previously, and has just begun his first year of the Juris Doctor of Law program at the University of Victoria. He also received a Gragopean Trust Award. 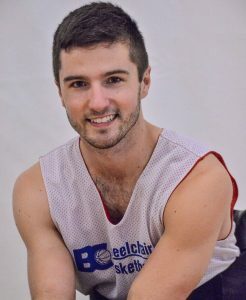 A successful wheelchair athlete, Riley serves as treasurer on the Board of the BC Wheelchair Basketball Society and also gives back to his community as a Director of the Highway to Healing Support Society. A BCPF Scholarship Award of $1000 was awarded to Kristian OakenShield for the second year. This award will support Kristian’s Acupuncture Studies at the Oshio School of Acupuncture and Herbology in Victoria, BC. The UBC CW Deans & JD Hall Memorial Scholarships ($1,750) are awards held by UBC and distributed to UBC students with spinal cord injuries (with first preference given to BCPF/SCI BC candidates). 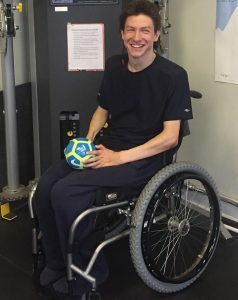 We were very pleased to recommend Mike Prescott, a PhD candidate in Rehabilitation Sciences and a well known contributor to the disability community, for both of these awards this year. The BC Paraplegic Foundation and SCI BC extend our congratulations and very best wishes to these very deserving recipients! Interested in applying for the next BC Paraplegic Foundation (BCPF) Scholarships and Bursaries? Keep an eye on SCI BC’s Scholarships and Bursaries page for details about the Spring 2019 applications!